This game is played like a memory game or as an independent cut and paste matching. 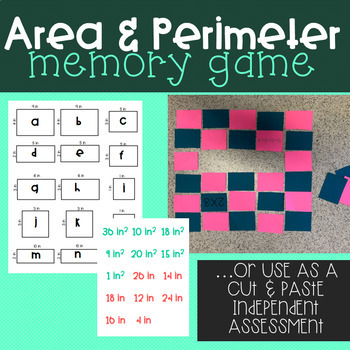 Students will match the model to the area or perimeter. This game is perfect for 3rd graders because all measurements are whole numbers that are easily multiplied.